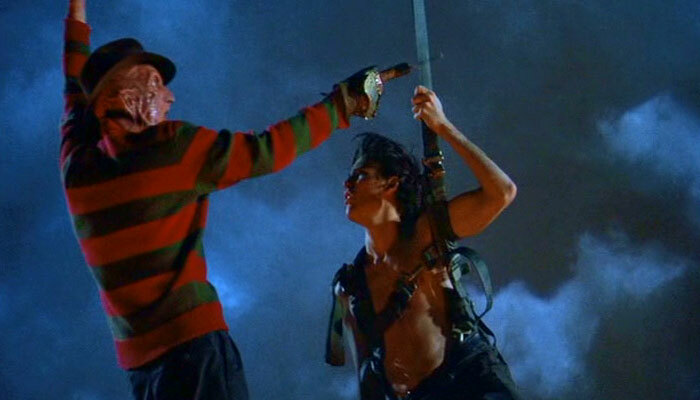 After a disappointing turn with “The Dream Child”, both creatively and financially, New Line Cinema decided it was time to give Freddy a proper burial. 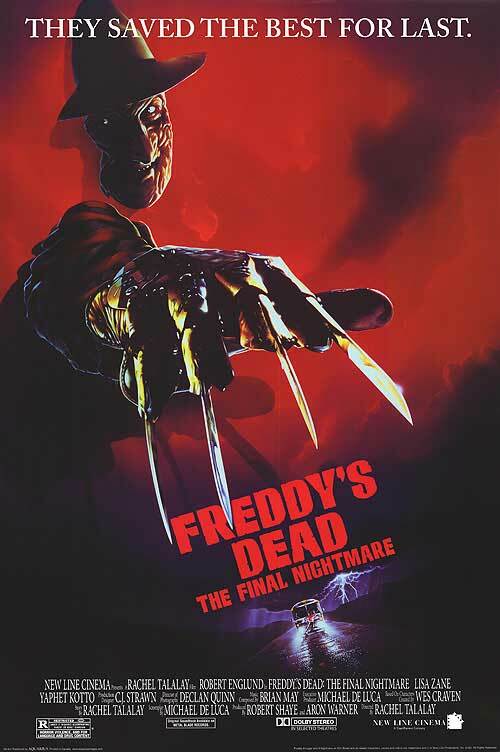 In 1991, saw the release of the supposed last Nightmare….”Freddy’s Dead: The Final Nightmare”. The film had a bright upcoming screenwriter, a fresh new director, and cast of up-and-comers featuring the likes of Breckin Meyer. How could they go wrong? "Consider yourself grateful that you don't have to be in the rest of the movie!" “Freddy’s Dead: The Final Nightmare” has everyone’s favorite dream maniac Freddy Krueger at a crossroads. He has finally killed all the children of his hometown. He needs to escape the city’s confines to hunt fresh prey. To this end, he recruits the aid of his (previously unmentioned) daughter. However, she discovers the demonic origin of her father’s powers and meets Dad head-on in a final showdown. The Power Glove. Not even a funny joke back in 91. Sound stupid? You better believe it is. “Freddy’s Dead: The Final Nightmare” is that rare horror movie in which nothing works. It sure as hell isn’t scary and the cameos by Johnny Depp and Roseanne come across as more desperate than funny. The deaths are awful as well. 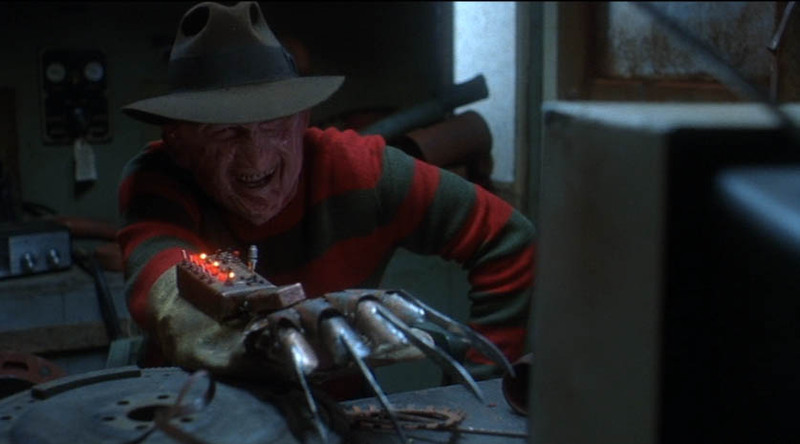 Killed by a robot hearing aid, killed by Freddy’s “power glove”, fallen from a parachute onto spikes placed by Freddy? Is this a Nightmare movie or a Looney Toons cartoon. Not only this, but Freddy himself doesn’t even get a cool or original death. They take the ending of the original and cheapen it and we are all worse for it. This film is a grim insult to Freddy fans everywhere.